Pictured. The father of author Héctor Tobar who inspired The Tattooed Soldier. 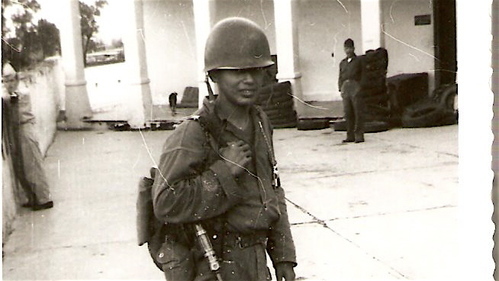 Over at Another Day Another Quote , premier Chicana Blogger and birthday girl Cindy Lu brings up Héctor Tobar's The Tattooed Soldier . Tobar will the Keynote Speaker at the 19th annual Envisioning California Conference being held at Cal State Northridge September 19.